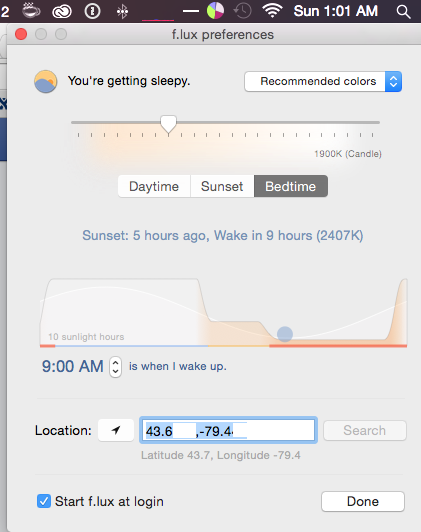 But it's 1AM my local time, and I have it set to 9AM being my wakeup time. I verified my location is correct. I guess should clarify that I obviously expect it to say 8 hours. We also have a sleep in on weekends option which you might have checked. Ah, correct. I have that enabled. I assume it's an extra hour added on then? Yeah we should probably put a note about it on this screen, because it is really "9:00 AM, but 10:00 AM on weekends"